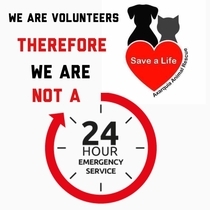 We are all volunteers and do our very best, but we do not have the resources to be a 24/7 rescue service. If you find an animal injured or in distress outside of normal working hours, then please contact your local emergency vet, Seprona or your local police. We are unable to intervene in cases where an owner is mistreating or neglecting their animal. We can provide you with advice and guidance, but we cannot remove an animal from private property. We believe wholeheartedly in Neutering and Castration. 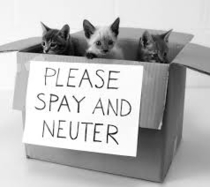 However, if your own pet has kittens or puppies because you chose not to neuter, then we are unable to help you, although we may help with neutering of the mother when the kittens/puppies are old enough. We realise that sometimes people's circumstances change, but we are not here to rehome pets who are no longer, for whatever reason, wanted by their owners, unless in cases of severe ill health or death. We can provide advice and guidance on taking your pet to another country along with links to other sites that may be useful. If you would like to know more, are interested in adopting or fostering, or just want to help then please contact us. Thank you for visiting our site and please tell all your friends about us!